When will be Firing Line next episode air date? Is Firing Line renewed or cancelled? Where to countdown Firing Line air dates? Is Firing Line worth watching? 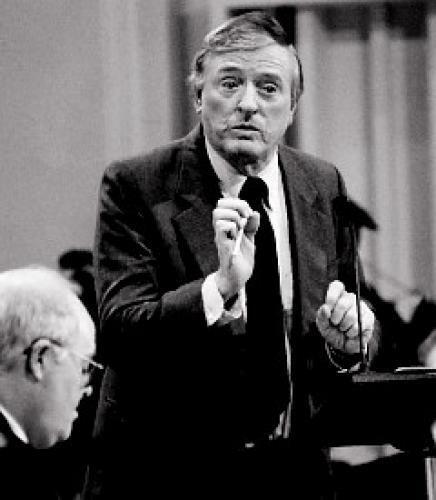 Long running public affairs show hosted by noted conservative William F. Buckley, Jr. that ran for 33 years from 1966 to 1999. The show's first five years were syndicated from TV station WOR in New York but from 1971 until its end, the show aired on PBS. Firing Line's format featured Buckley engaging in debate with numerous political, social, and cultural figures over topics ranging from civil rights to hippies to the Vietnam War. Guests included such diverse figures as Henry Kissinger, Groucho Marx, Huey P. Newton, and the Dalai Lama. EpisoDate.com is your TV show guide to Countdown Firing Line Episode Air Dates and to stay in touch with Firing Line next episode Air Date and your others favorite TV Shows. Add the shows you like to a "Watchlist" and let the site take it from there.